Are Startups Using Startup Loans? The Company Warehouse’s 2016 Startup Funding Report found that while 85% of startups we spoke to had heard of the government’s Startup Loans scheme only 5% were using it. The Company Warehouse speak to thousands of new startup businesses each year, we know that having adequate funding is often vital to the survival of new startup businesses. The startup funding landscape has changed significantly since 2008 with traditional bank loans becoming ever harder to acquire while new sources such as crowdfunding have come to prominence. However, very little research has been done with real UK startups to find out about the types of funding they are using. One of the highest profile of the new sources of funding for UK startups has been the government’s Startup Loans scheme. Of the new startups we spoke to only 5% had used this scheme with credit cards, bank overdrafts and loans from friends and family all being more popular options. We were surprised by the low usage levels we found among startups, especially given the scheme’s high profile. Established in 2012, the government’s flagship program for encouraging entrepreneurship has been widely publicised. Moreover, our entrepreneurs had all started their businesses within the last 18 months, and therefore represented the target market. Therefore, the small number of our participants who made use of Startup Loans was clearly not down to lack of knowledge. Instead, the fact that 85% were aware indicates that participants were making a conscious decision not to apply. What is the Startup Loans Scheme? Established in 2012, Startup Loans are a government-backed scheme which aims to help new businesses access finance. It offers loans of between £500 and £25,000, and up to 12 months of business mentoring support, and access to a range of business offers. Budding entrepreneurs’ applications are processed via their relevant delivery partner rather than by the government themselves. 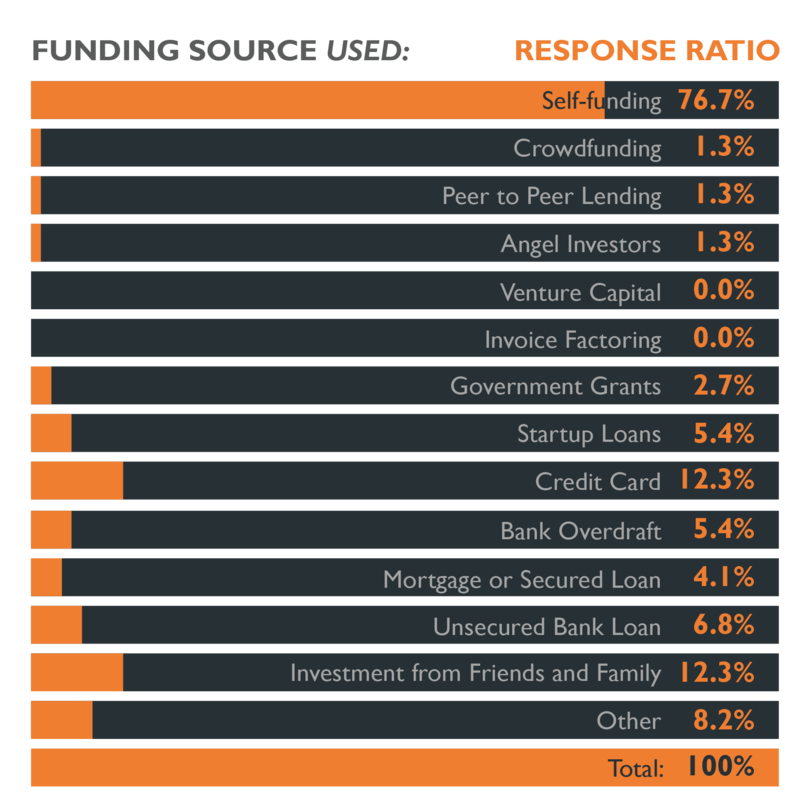 The Startup Loans’ delivery partners range from community-lead organisations, such as CDFIs, to companies such as Virgin Startup. Since it was founded the Startup Loans scheme has given out £231 million of funding to 40,000 entrepreneurs. However, a recent FOI request from the Press Association found that £72.4 million of these loans are in default or have been written off. One of the most heavily publicised elements of Startup Loans is the business mentorship component. Some of the startups we spoke to recommended the Startup Loans scheme because of the business mentorship they offer, advocating it as a good source of business support. However this praise was not universal. At The Company Warehouse, we’re aware of how vital it is that startups get quality business support, if they are to succeed. We offer all startups who register with us free telephone based business consultancy to help get their business setup. Once the company formation, or business registration, has been completed our consultants can also help startups to access our specialist support staff who cover areas including accountancy, marketing, web design and branding. Title: Are Startups Using Startup Loans? The Company Warehouse has been forming UK limited companies since 2003. Need help to grow your business? If you need help with your startup then let's talk.